Check out our spa menu on our Salon Services tab, and Book an Appointment or Book a Party today! Your child will think you’re the coolest parent in town! Looking for the perfect gift or the safest and highest quality kids’ salon products? No problem! Check out the unique offerings and gift certificates on our Products Page! Also – Don’t forget to ask about spa specials including our braid bar, beauty and finishing classes, posh nail care offerings, facials and more! 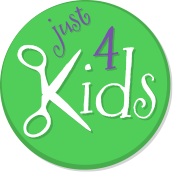 If you have any further questions or concerns regarding our team of childrens’ salon specialists, please feel free to give us a call at (201) 653-KUTS (5887)!